This is an original production cel from the Walt Disney Studios production of a 1990s General Mills commercial for Cheerios that had a tie-in with 101 Dalmatians. 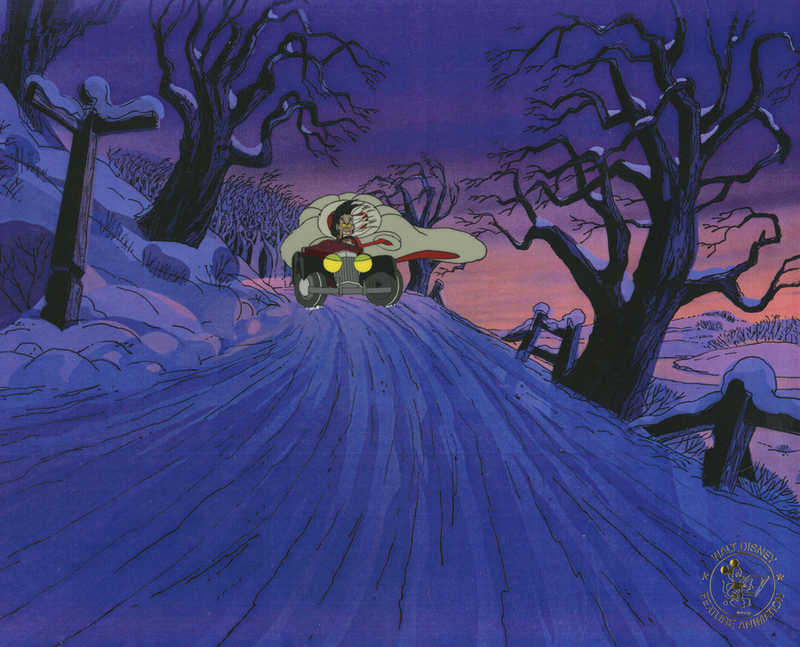 This cel features a very upset Cruella Deville furiously driving in her car on the snowy roads, and was created at the studio and used during the production of the commercial. The commercial only used a very minimal amount of new animation, and mostly had clips from the original film in the advertisement, so there is not much production art from this particular production. The overall measurements of the piece are 12.5" x 17" and the image itself of Cruella in her car measures about 2.5" x 3". The cel is in great condition, with the image created with three cel layers. 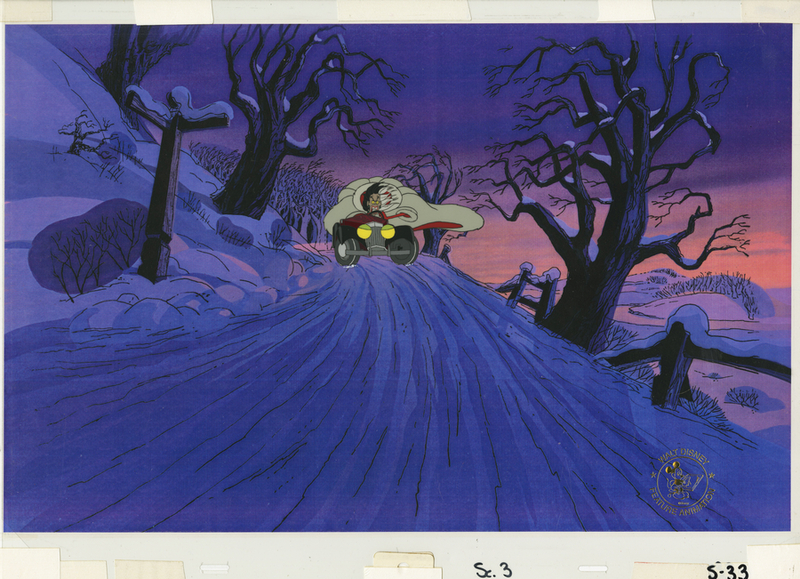 The cel is paired with a color copy reproduction background from the matching scene in the commercial and is in very good condition.